In 2-quart saucepan, heat 1 inch water to boiling. Add carrots. Heat to boiling; reduce heat. Simmer uncovered 6 to 9 minutes or until crisp-tender; drain and set aside. Stir in carrots. Reduce heat to low. Cook about 5 minutes, stirring occasionally, until carrots are glazed and hot. 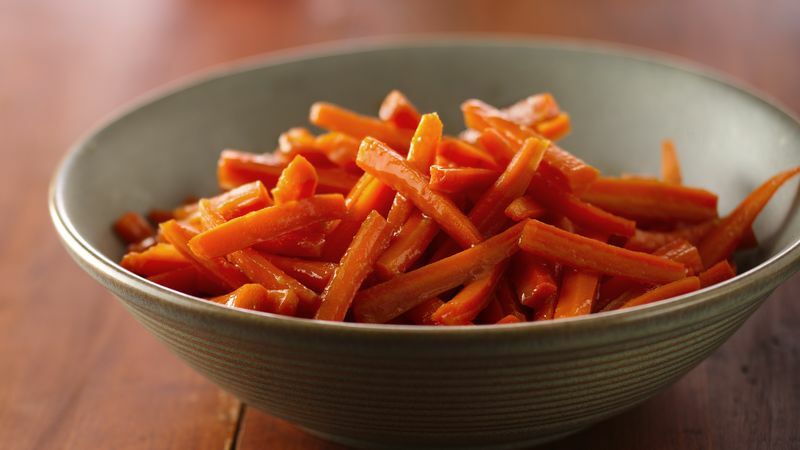 Instead of the carrots cut into julienne strips or baby-cut carrots, you can use 1 1/2 bags (1-lb size) frozen sliced carrots, cooked as directed on the bag. If using baby-cut carrots and some are large, cut them in half lengthwise so all of the carrots cook in the same amount of time.